Often, those who plan on investing in the Stock Market for the first time choose to invest with their favorite companies. When my interest in the stock market first sparked, I jotted down a few of companies I had been loyal to and that I would like to invest in. Of course, I had my luxury brands like Chanel and Henri Bendel, but little did I know that these brand names were privately owned and not open to the masses. Although Chanel is still private, another notable and reputable designer name is up for grabs. Calling all girls with an affinity for Michael Kors and his many lines; he has gone public and is Wall Street’s newest addition. Previously, like many other fashion houses, Michael Kors was a private company. But after the morning of December 15, Michael Kors Holding Ltd opened up in the stock market to a whopping 25 percent and a $20.00 IPO. “After pricing, its initial public offering at $20 a share, above its estimated range of $17 to $19 a share, the fashion brands shares closed at $24.20 per share,” said CNN Money’s Maureen Farrell. This meant that Michael Kors Holding Ltd. company surpassed Ralph Lauren’s opening public debut, which raised $767 million in 1997. Although still smaller when it comes to IPO value compared to leading retail luxury brands such as Burberry and Ralph Lauren, who is to say that Kors can’t top them in years to come with a smart renovation or addition in this fashion house? Does Jonathon Adler pop up in your head? Just something for you to consider. Vera Wang and Kate Spade both added home lines to their companies and have seen progress, nothing drastic, but it’s all about how you execute it. 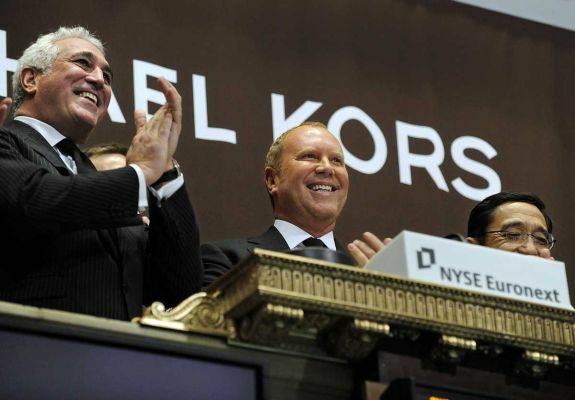 Michael Kors has blossomed over the past 30 years into one of today’s leading designers. Just imagine what he could do with a home line in the coming years.